Kuishin Bo has been around the Suntec area for as long as I recall. 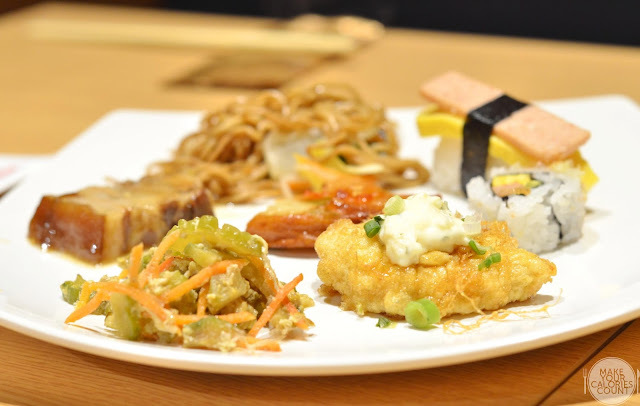 For 15 years, the Japanese buffet brand that translates to food connoisseur has recently seen a revamp to its previous facade, opening up at Suntec City's new North Wing. Let the journey to mini-Japan begins! 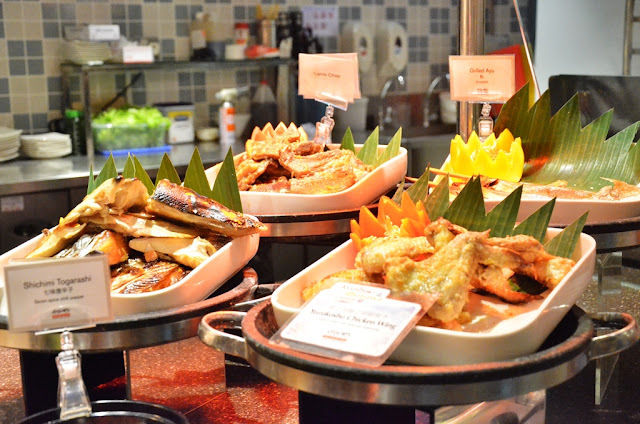 Most Singaporeans love buffets and so do we. 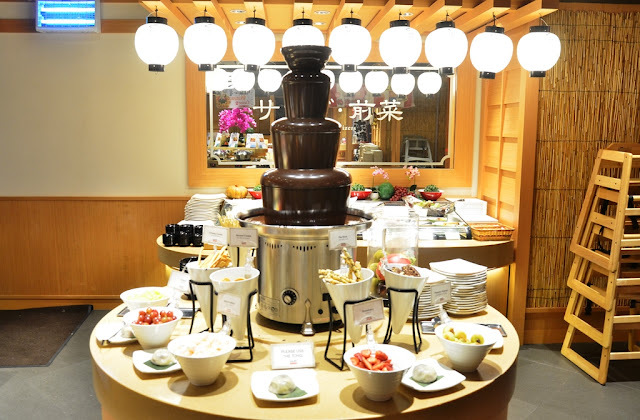 The regular buffet spread comprises a fanfare of over 100 favourites across seven sections starting from Salads & Appetisers, Sushi, Sashimi, Seafood, Teppanyaki, Paper Hot Pot, Fried Food, Soups to our favourite Desserts! On a quarterly basis, there will be a food fair where gastronomic highlights from various regions in Japan will be featured. 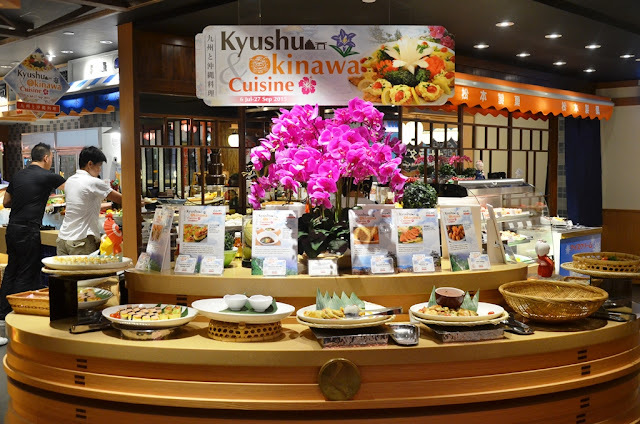 The ongoing fare features delicacies from Kyushu and Okinawa and runs till 27 Sep 2015. To allow diners to fully appreciate the food, there are even educational cards for each of these special dishes which elaborate on the history and inspiration behind the dish. 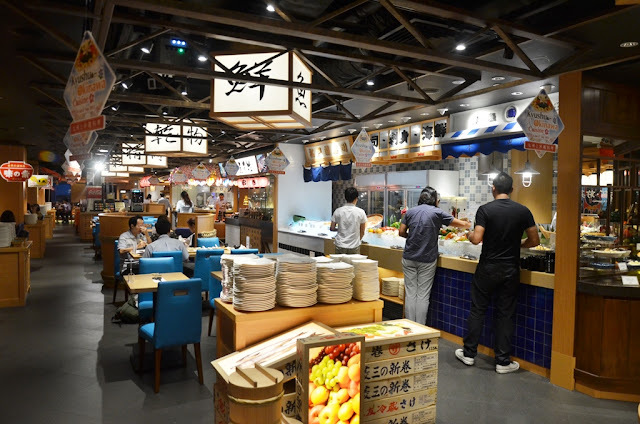 Given the closer proximity of Kyushu and Okinawa to China, one would realise that some of the items carry a close resemblance to the usual Chinese cuisine that we are used to. Think braised pork belly though the Okinawan twist introduces a stew of soy sauce and their famous brown sugar. A worthy shout-out is the hourly specials of limited quantities. 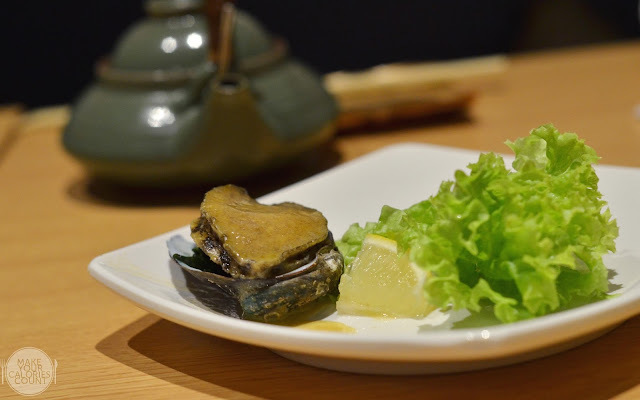 Do keep an ear out for the iconic "dong dong dong dong" bell which alerts guests to a surprise treat and I got myself lucky with one of these 25 abalones! 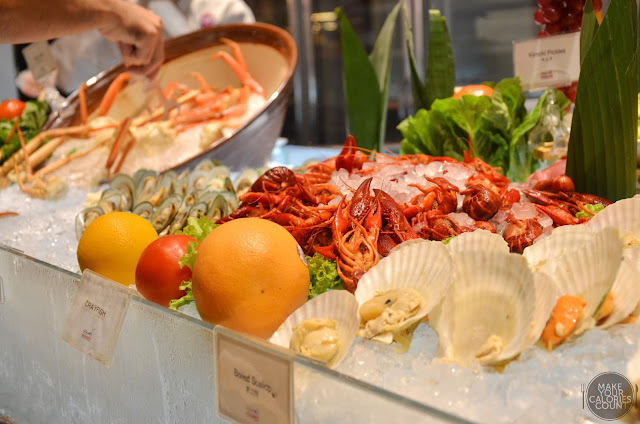 No buffet is complete without a seafood and sashimi corner and Kuishin Bo certainly fits the bill. Fresh seafood including crayfish, scallops and prawns are always diners' faves but nobody resists free flow Zuwaigan (snow crabs) which is one of the key highlights at the buffet! For those who love their grills, Kuishin Bo serves some premium ingredients such as Australian Angus Sirloin Beef and barbecued Lamb Garlic Miso which uses quality shoulder blade chop from New Zealand. The best part is that the grills are cooked and replenished in small batches to ensure maximum freshness to diners. Quality seafood does not end here as early bird catches the worm! 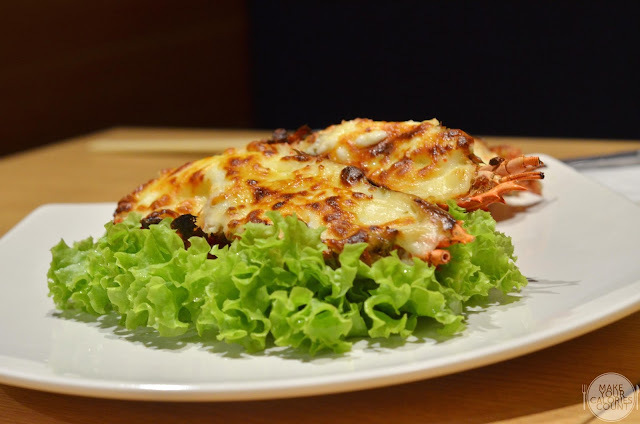 Do gather some of your friends (adults only) and make reservations early to dine at Kuishin Bo as everyone at the table will enjoy half a baked lobster! 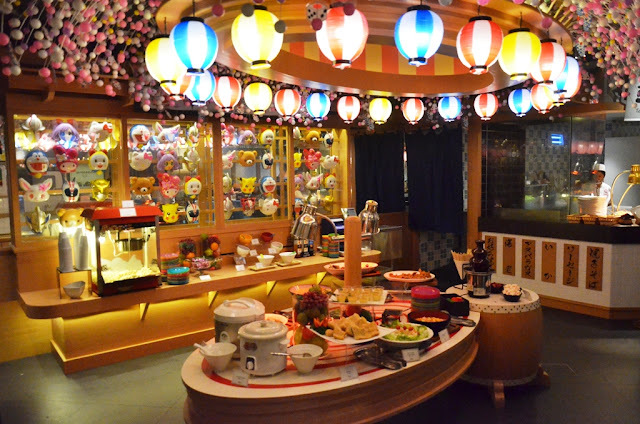 No meal is complete without desserts so expect an assortment of cakes and some fresh mochi made daily! 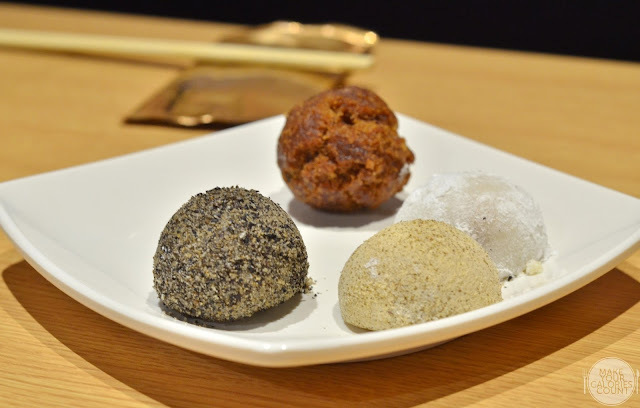 There is also the seasonal special Sata Andagi, doughnuts made from Okinawan brown sugar. With a sprawling interior that is fitted with wooden beams, do look out for the quirky sake barrel-shaped booth seats and vintage beer posters modelled after the retro izakayas (casual bars) and alleyways of Japan during the Showa period from 1926 to 1989. The much larger outfit of the restaurant not only welcomes a casual dining experience for adults, it also has a dedicated kids corner! 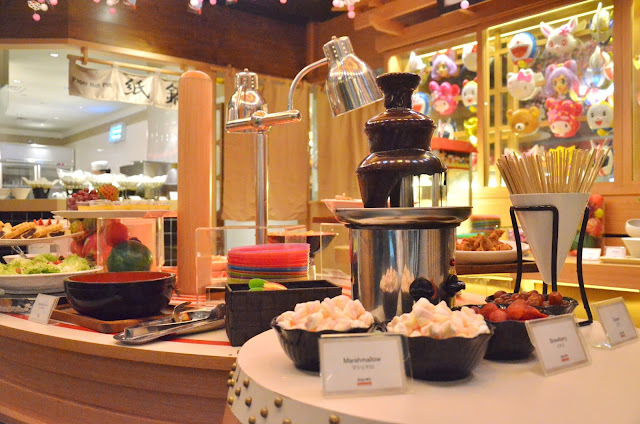 Definitely worth a check-out with the thoughtfully-designed low counters laden with kids-friendly dishes and snacks such as popcorn and DIY ice kachang station! While we are used to enjoying chocolate fondue, how about a kids version to lift a smile on your children's faces? 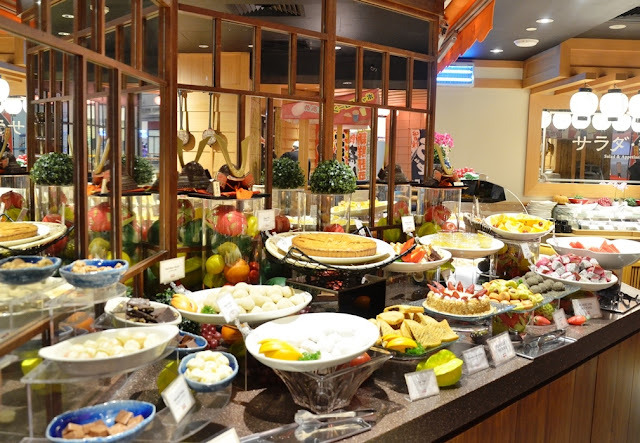 Not only does the restaurant provide a quality buffet meal at an affordable price, it is a perfect spot for families as kids can have fun and an equal position as their parents in making calories count! There is even a mini stage at the back of the restaurant that will host special events such as doughnut-making demonstrations every Saturday and Sunday for diners to have a hands-on experience! P.S: Special thanks to Rachel for the invitation and Kuishin Bo for hosting.